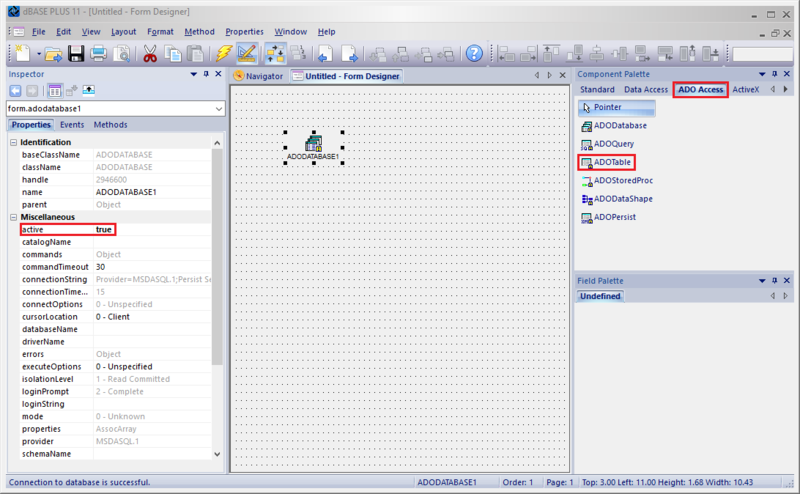 How to use dBase Plus with QODBC? 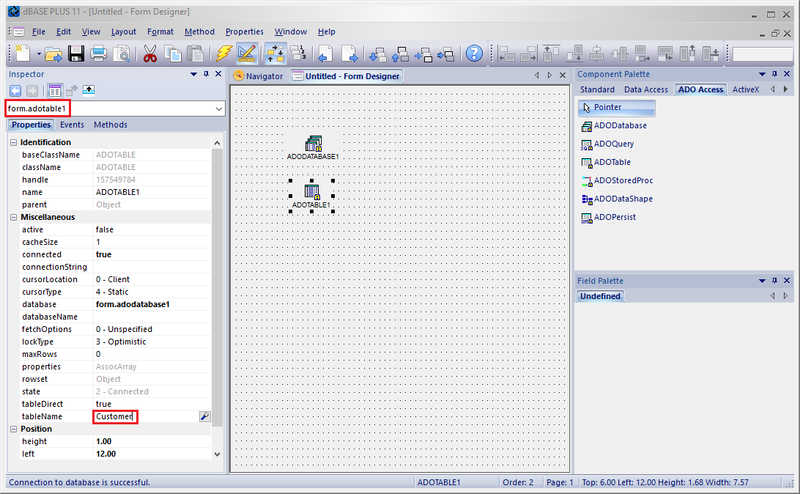 Please follow below steps for using dBase Plus with QODBC. 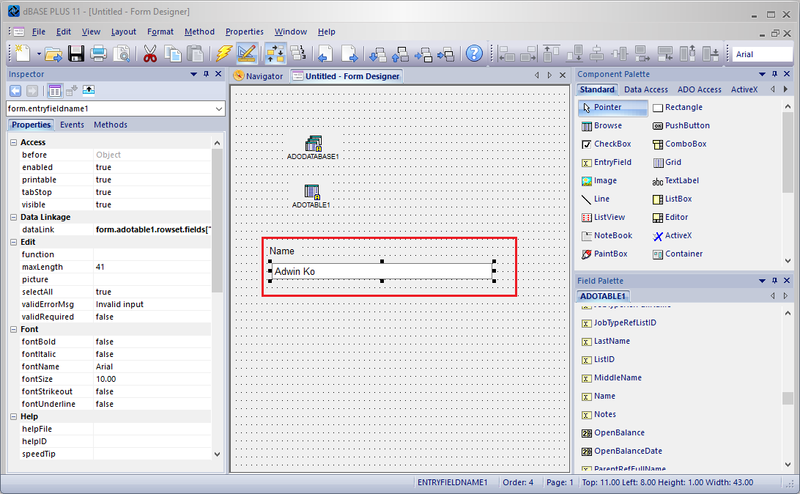 Please start dBase Plus & create a new form by clicking "New Form". 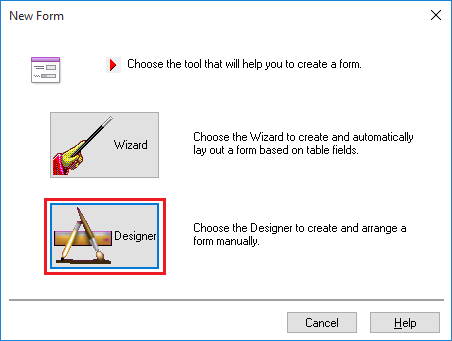 Select "Designer" option in form creating window. The form window is open. 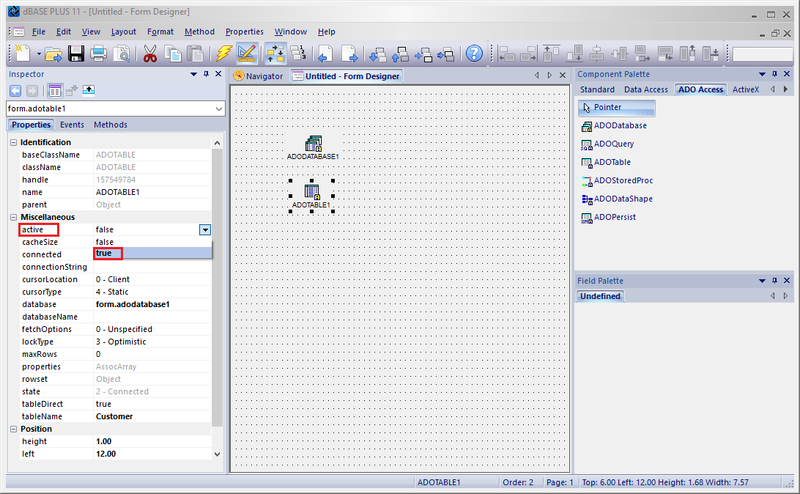 Now go to the "ADO Access" tab on the Component palette & Drop an "ADODatabase". 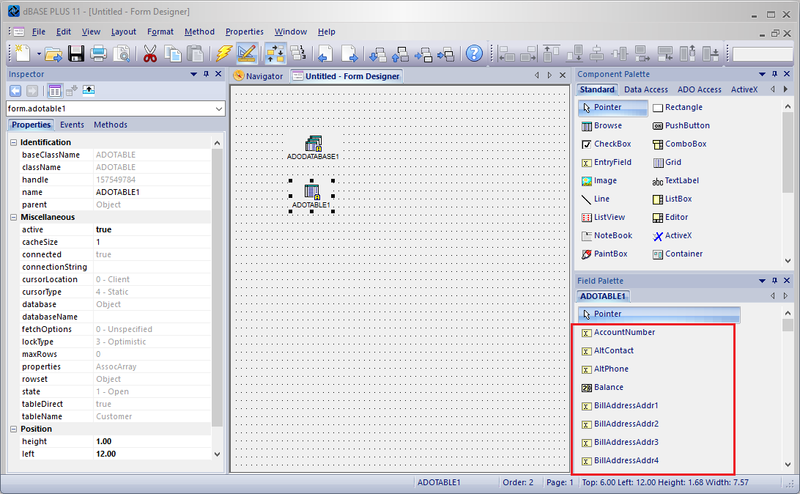 The ADODatabase is added in the form. 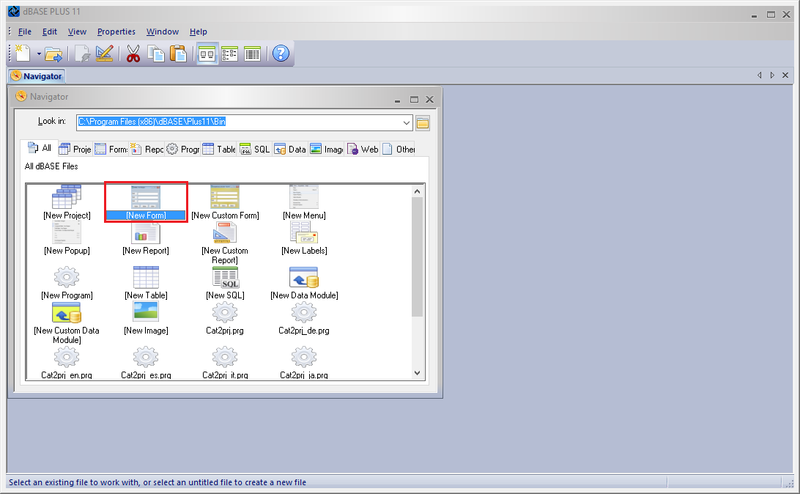 Configure Database connection using "Setting" icon in front of the "connectionString" label from the ADODatabase property window. 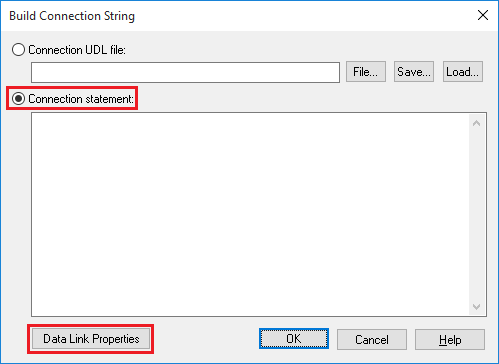 In Build Connection String window, Select "Connection statement:" option & click "Data Link Properties". 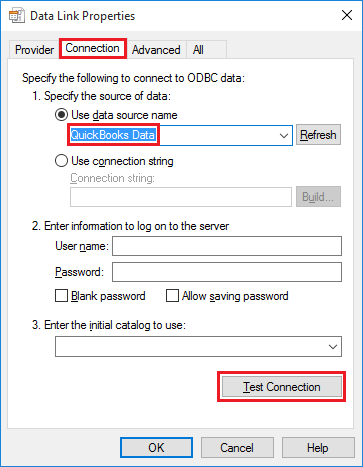 In Data Link Properties window, Select "Connection" tab & choose "Use data source name" option & select "QuickBooks Data" from the drop-down box and click "Test Connection". Please Note: If you have a 64-bit application, then you need to use QRemote 64-bit DSN "QuickBooks Data 64-bit QRemote" as below screenshot. 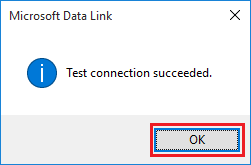 You will notice "Test connection succeeded" popup message on a successful database connection, Click "OK" to close popup message. Click "OK" to finish configuration. The database connection is added. Please set the "Active" property to "True". 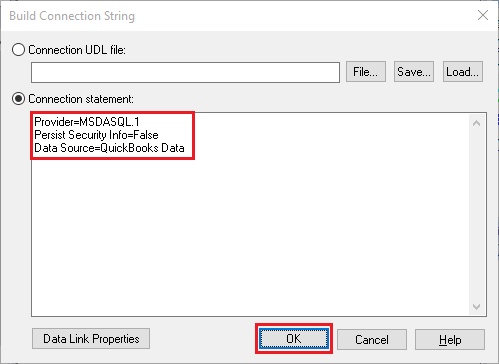 The ADODatabase "Active" property set to "True". 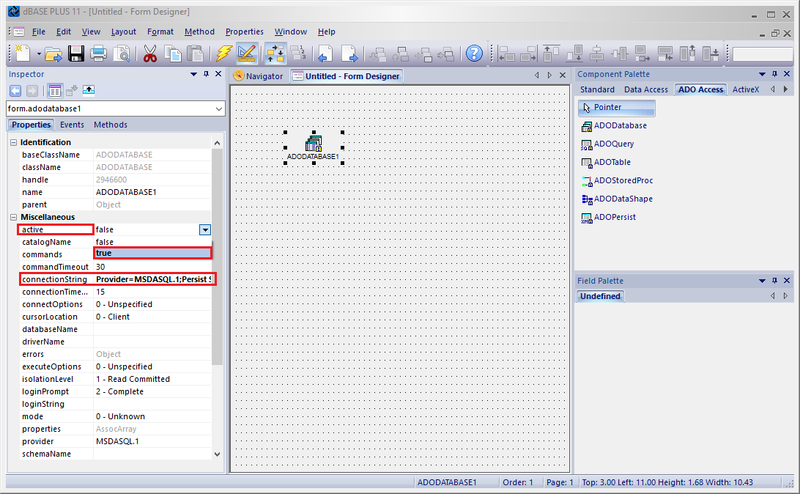 Now go to the "ADO Access" tab on the Component palette & Drop an "ADOTable". The ADOTable is added in the form. Now, Please input the Table Name from "tableName" property label from the ADOTable property window. In this example, I have used Customer table. The table name is added. Please set the "Active" property to "True". 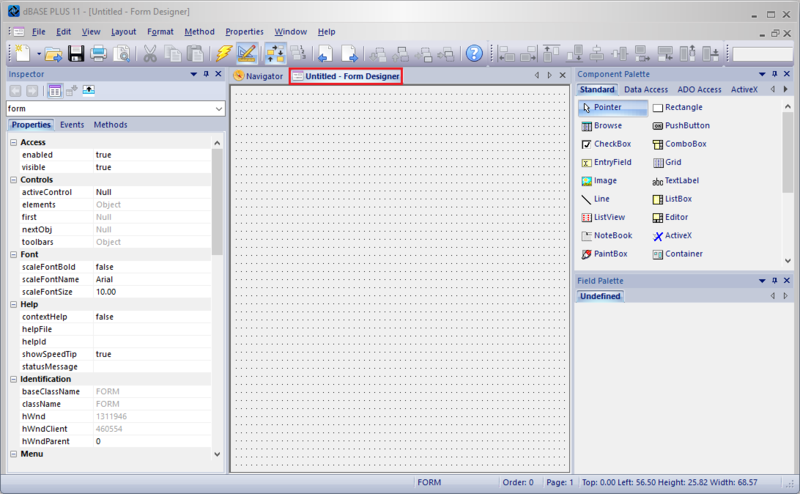 Now, Please refresh the dBase Plus connection by switching between "Navigator" & "Form" window & you will Customer table field is added in the "ADOTable". 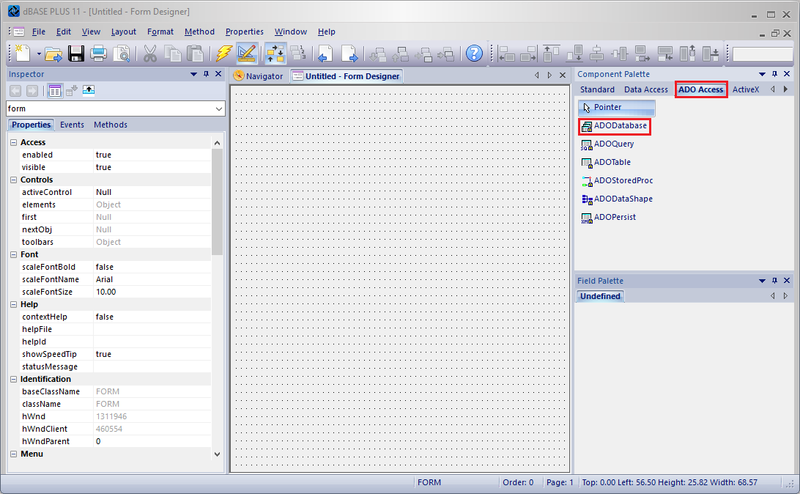 In the Fields tool window, drag a table field to the form. In this example, I have added "Name" field of the Customer table. 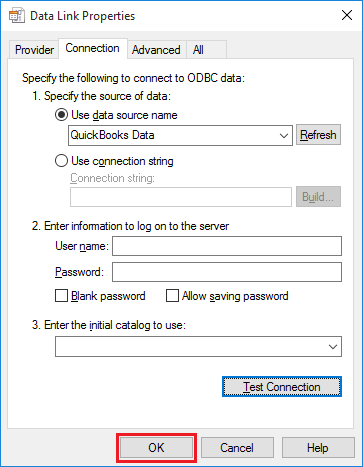 QuickBooks Data is added to dBase Plus using QODBC. You can make changes in the application as per your requirement & run the application.